Central air conditioners are cooling appliances that can cool a whole house at one go. In a central air conditioner the cold air is circulated through a system of supply and return ducts. It is the supply ducts and registers that carry the cool air into the homes from the air conditioner. The cool air which circulates within the home becomes warm and then gets back to the central air conditioner through return ducts and registers. Like all other air conditioners central air conditioners help to dehumidify the air. However, in cases, where there is excessively high humidity or the air conditioner is over sized chances of achieving low humidity will be lesser. 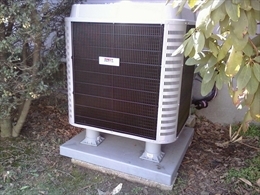 As far as the types of central air conditioners are concerned, they are either split systems or a packaged unit. In the split system central air conditioner, the outdoor metal cabinet consists of the condenser and the compressor while the indoor cabinet has the evaporator. While in a packaged central air conditioner the evaporator, the condenser and the compressor are all housed in one cabinet which is placed on a roof top or on a concrete slab. As far as the efficiency of central air conditioners are concerned, they have a better performance than the room air conditioners. At the same time, they have a quiet and convenient mode of performance. In a central air conditioner, the compressor pumps the refrigerant through the system so that it can gather heat and moisture from inside the rooms and remove it in the process. Heated air and moisture from inside the house are removed when it passes through the cooled indoor coil. The heat that has been transferred to the coil is then pumped out to the exterior and the cooled air is pumped inside the house to maintain a comfortable temperature within the house. Thus the central air conditioner successfully makes the inside of the buildings cooler. However, there are certain things that need to be kept in mind while buying the central air conditioner. Let us have a look at the factors that needs to be considered while purchasing a central air conditioner. 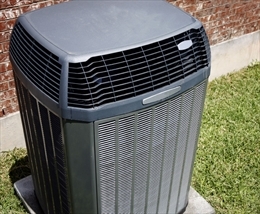 The size plays a vital role while choosing a central air conditioner. It is important that the appliance is rightly chosen. A central air conditioner that is smaller in size will not be able to cool the room adequately and if the AC is over sized it will cycle on and off frequently causing unnecessary wastage of energy. The second aspect that needs to be kept in mind is the efficiency of the air conditioner. It is recommended that it is always a better idea to buy an appliance that has a higher SEER rating. A central air conditioner with a higher SEER rating might be expensive initially but in the long run, the investment proves worthwhile. The benefit of higher SEER rating is that it does not cause wastage of energy which in turn prevents sky-high electricity bills. Lastly, one should look for all other additional energy efficient features in a central air conditioner so that the appliance functions without glitch for a longer period of time.